Various studies assessed rates of post-traumatic stress disorder (PTSD) following natural disasters including earthquakes. Yet, samples were often non-representative or small or both. 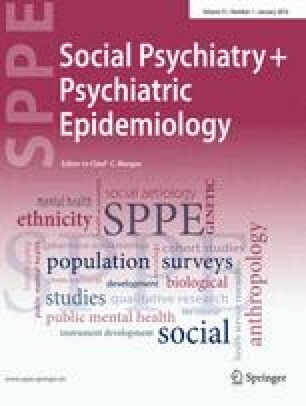 This study aims to assess the prevalence of PTSD and predictors of PTSD 6 months after an earthquake in a rural region of Italy. A questionnaire was handed out to a representative sample of approximate 3,000 people in the region of Molise in Italy 6 months after an earthquake in October/November 2002. The questionnaire assessed socio-demographic characteristics, aspects of the event, the experience of symptoms immediately after the earthquake, and symptoms of PTSD. Questionnaires of 2,148 people were returned, representing a response rate of 73.7%. The final analysis was based on 1,680 people. The screening tool provided a PTSD prevalence rate of 14.5%. Male gender, age under 55 years, and better school education predicted lower rates of PTSD. More variance was explained when psychological symptoms of immediately after the event were also included as predictors. The findings on predictors are consistent with the literature. Whilst personal characteristics explain only a small variance of PTSD six months after the event, early psychological distress allows a better prediction of who is likely to have PTSD 6 months later.